Universal Tunable SFP+ Modules are giving you a lot of flexibility! 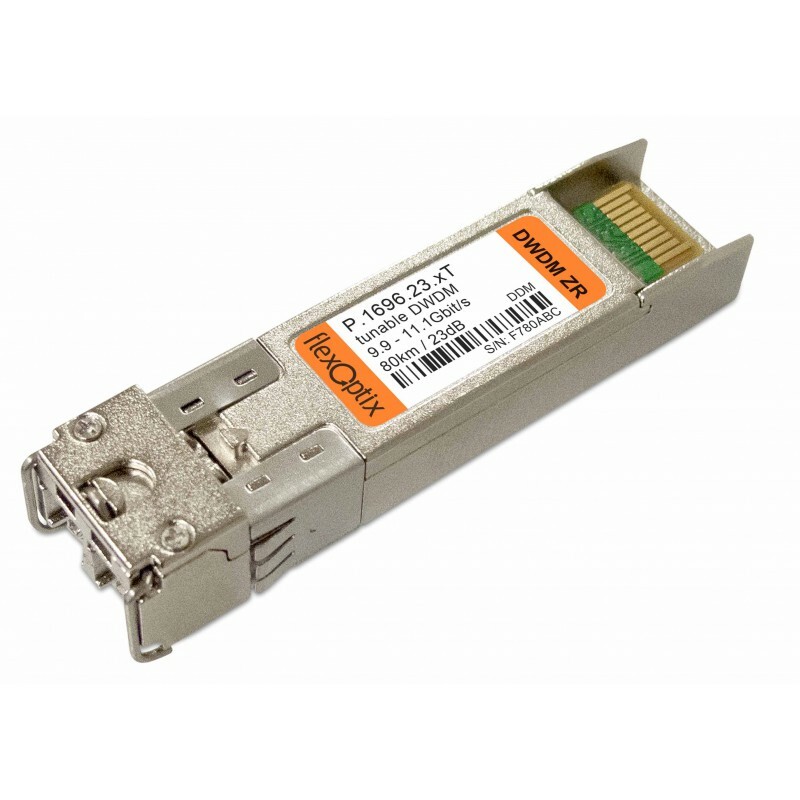 With tunable SFP+ you have the possibility to reduce OPEX or be flexible in terms of spare parts and stock. Unsually a DWDM network is set up with fixed DWDM transceivers. This means that the laser hardware has a fixed wavelength for transmitting over a DWDM channel. But if one channel fails you need this specific channel in your spare part stock. Typically DWDM is used with 40 channels. So you need to stock 40x different wavelengths. OR you buy 10x P.1696.23.xT as spare which reduces the cost almost to half. This is the most common use for tunable SFP+. But for more complicated DWDM networks you need to do a wavelength planning for ordering the right types. So there needs to be a documentation which specific channel is already in use at different locations. By using tunable SFP+ module you just need to count the unused DWDM ports instead of each wavelengths and order the needed amount of only this one product. This reduces a lot of complexity and makes the planning so much easier. You can use our Universal Tunable SFP+ in every listed Host-System in our shop. Using the Flexbox transceiver programmer to configure them on your own or just order them pre-configured from Flexoptix. Don't worry if your devices doesn't support the tuning capability. With our Flexbox transceiver programmer you can persistently reconfigure the wavelengths, it even stays after unplugging/reboot/power off. Thus you can now easily build a light source that is adjustable over the whole C-Band. Beginning from 1528nm (196,15 THz) up to 1568nm (191,1THz). In other words: ITU channel C11 to C60 at 10Gigabit with 23dB (+/- 80km) power budget! For requests... just write/call us.